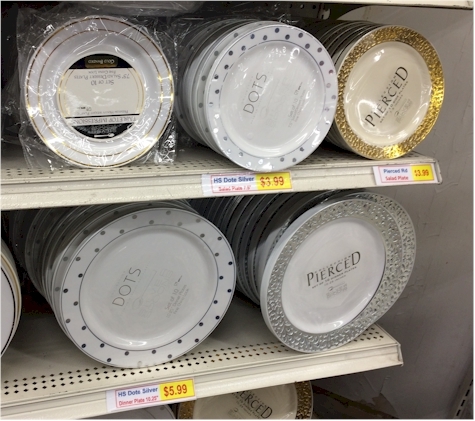 I always compare my online "Looks Like Real" tableware buys to the prices at Amazing Savings, (a small East Coast chain of stores), because it generally has the very best prices on the "Looks Like Real" stuff. When I find deals on Amazon that actually beat Amazing Savings, I pounce, especially before Pesach! 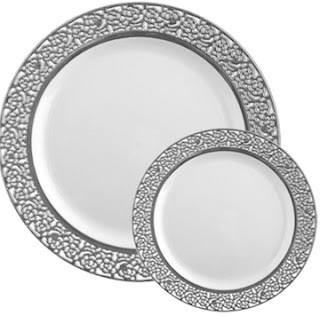 Amazon has got this Table To Go 'I Can't Believe Its Plastic' 50-count Ivory and Silver Lace Design Plate Set (pictured above) for $21.18 with free Prime/SuperSaver shipping. I ordered these same plates last year (when they were five dollars more!) and when they arrived, they were white, not ivory, so just be prepared to possibly get white plates. 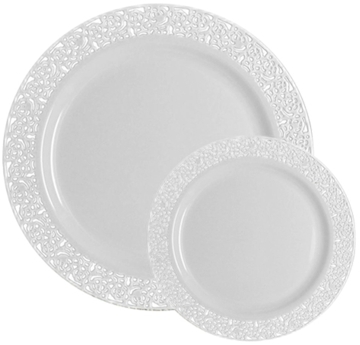 The quality is just as good as the plates sold in Amazing Savings. If I bought these at Amazing Savings, they would cost me a total of $25.00. If I bought these at Amazing Savings, they would cost me a total of $22.50.